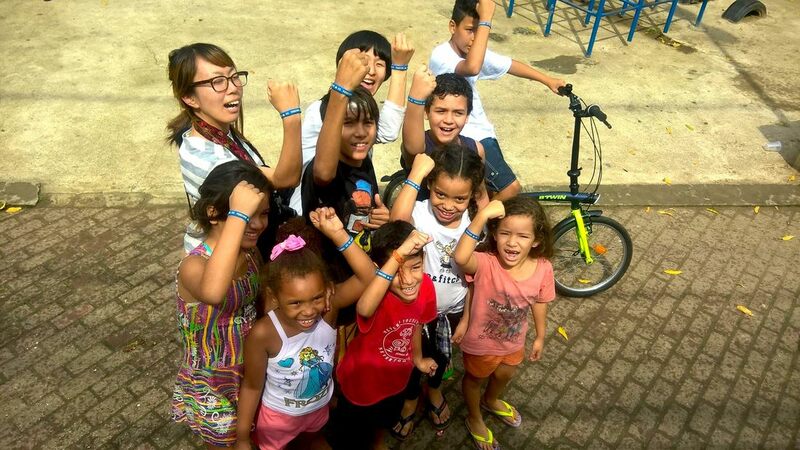 To see what others have experienced on their visits to Rocinha, check out our testimonials page! *Price for tours includes transport inside the favela and guide only! 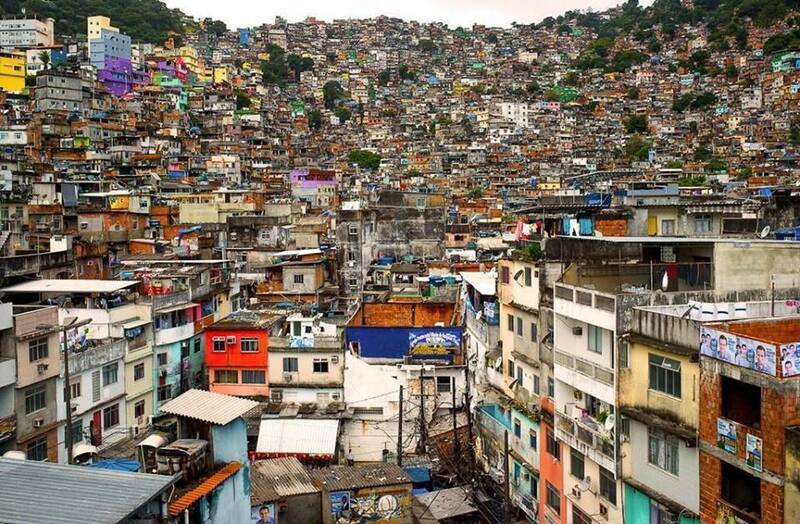 A glimpse into the life of those who live in Rocinha. This visit for those who do not have the time for the extended visits. Cost is 75 reais each person. 2.) 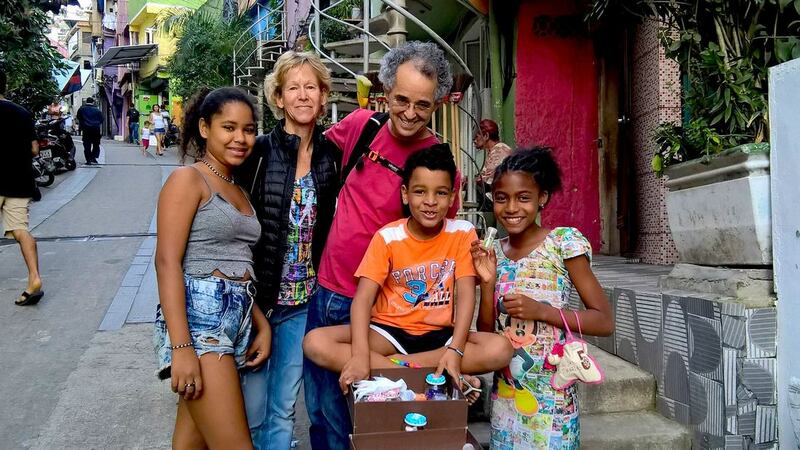 Rocinha Visit 6+ hoursThis includes various points of interest, different views of the community, opportunity to visit a private school or daycare (depends on the day as holidays and weekends schools are closed) , eating in Rocinha, and much more. This visit is our most popular! Cost is 90 reais each person. This visit is the same as #2 but also includes a Baile Funk party. Sunday nights the Funk party starts at 12 midnight until 4 am or depending on the party could end at 6am. The tour and the party can be done on separate days. This is a cultural exchange visit that includes playing a football game. The tour is started at the top of the favela, slowly walking through the community, but includes a friendly football game against the locals. A minimum of 6 people is needed for the group tour. Cost for Tour + Game is 90 reais each person. This is to be combined with a tour. This is a drumming class with "Pragradar" group that organizes "blocos" (street parties) during carnival both inside and outside Rocinha. You will have the opportunity to learn how to use the various drumming instruments used in Carnaval. There will be a teacher and assistant. 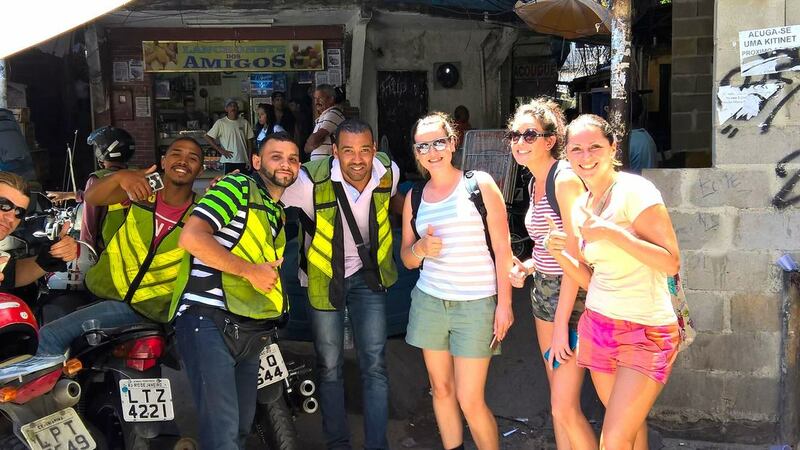 The class is about 1 hour long and combined with the tour is 5 hours spent time in Rocinha. There is a minimum of 6 people required for this experience. This tour needs to be booked at least one week in advance. Cost for tour & Drumming class 90 reais each person. This visit focuses on the various art work displayed in the favela. You will still get all the information that you would get with the regular tour. We will take you to the areas where art is the focus. There is an opportunity to pass by an area where artists sell their work and the possibility to pass by Wark's Art studio where you can see and or purchase some of his works. Please ask your guide if you have interest to visit places in the community where art is sold. Cost for this tour is 90 reais each person. This is a new and highly requested visit. We are starting to get more interest in visitors wanting to train Brazilian jiu jitsu. This experience is the full walking visit but also includes a 90 minute jiu jitsu class with a certified Black Belt who is from the community. Part of the money on this tour will be put into the academia to help purchase Gi's (kimonos) for the needy youth in the project. A minimum of 2 people who practice jiu jitsu is required. The instructor will also be open to showing you the techniques that you want to learn, so come with a game plan. If there are others in the group that will come to watch but not participate, their pricing will be less. The time of this tour will be about 6-7 hours long so expect a full day here. Cost for this tour is 140 reais each person. IMPORTANT: A word about the different favela tours, there is a listed approximate time for each visit, out of the respect for guests to Rio. We all know that travellers love to see different sites in the countries they visit. So, we have put down times. Every now and then, we get a group that really loves their time spent in Rocinha and they want to stay longer to hang out, drink, party, meet people. We are very open to this and if you are a guest who has free time to hang out longer, there is no problem and we do not charge extra for this! or 21-98221-5572 or 21-96937-7384 this is also our Whatsapp number! *Baile Funk Parties are held every Sunday night starting at 12 midnight at Clube Emocoes, in Rocinha, you will be escorted to and from the party. Bring your camera! Sometimes there are also Samba or Pagode shows on Sundays. Often times there are other cultural activities going on in the community depending on the time of year. For more information, contact us and we can let you know what activities there are. Parties can be sometimes cancelled due to other community events going on. **Please contact Zezinho for more information.